 The Holy Trinity Cathedral Archives help preserve, catalogue and display archival photographs, documents and memorabilia from Holy Trinity’s rich history and the Greek community in Charlotte dating back to 1923. The late Xenophon Nixon provided the Archives. The archival collection consists of photographs, newspaper articles, Voice articles, parish directories, Yiasou festival memorabilia, personal artifacts donated by members of Holy Trinity and other information. Treasures of our Orthodox Christian Faith is a display of items and artifacts from our Orthodox faith. The room is used as an education center by Holy Trinity’s education departments, such as the Sunday School, Greek School and Preschool and includes displays and information on Orthodox Iconography, the Sacraments of the Church, the Divine Liturgy, Church History, the 12 Great Feasts, Great Lent and Easter, logy and much more. The Icon Project involves the preservation and display of a collection of icons donated to Holy Trinity by Dr. and Mrs. Francis Robicsek.